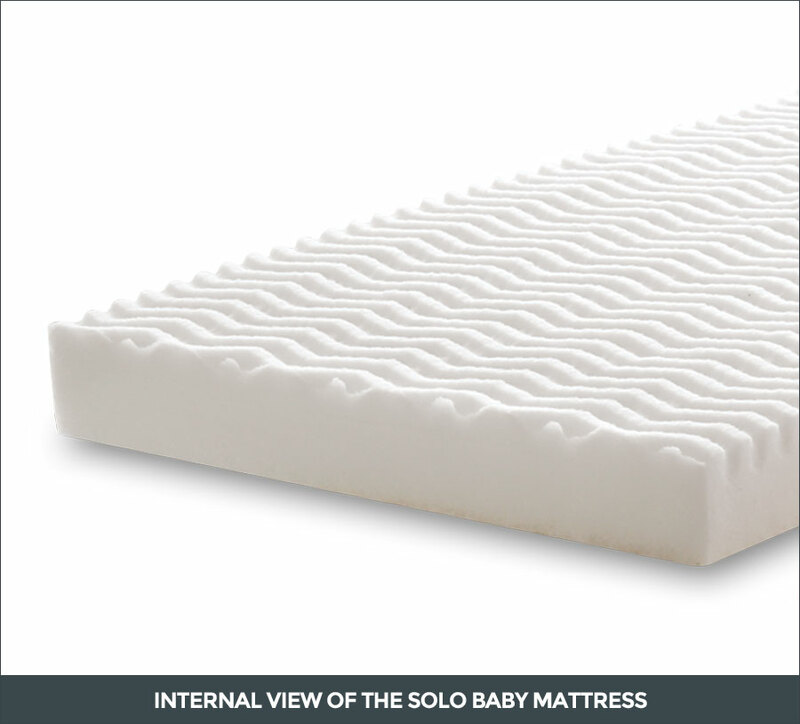 The “Solo Baby” mattress for children is soft, ergonomic, elastic, crushproof, hypoallergenic and extremely breathable: the materials with which it is made, contrast the development of microrganisms, guaranteeing your child’s safe rest. Particularly elastic thanks to a three-dimensional lattice structure which gradually support the resting body, consistent with the natural form. Resistant to compressions in order to bear loads and heavier weights. Firm, because as the years go by it keeps an unvaried shape and size. Safe, because certified 1 IM class against fire. A cover that can be machine washed at high temperatures is the key factor for a child’s mattress. Only by machine-washing the lining frequently and at high temperatures (95° C) you can ensure your child’s maximum hygiene and a safe and restoring rest. 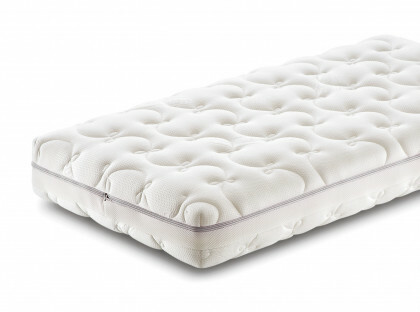 “Solo-Baby” mattresses for children are provided with a hypoallergenic core with airing channelings and SOLOTEX™.